Will Full Recourse Loans Save Canada? It is often pointed out that in Canada mortgages are full recourse - meaning that if your home value goes under water, you will still be on the hook for your housing debt no matter what. You can't just walk away from your mortgage. Some suggest that full recourse mortgages lead to more responsible lending, absence of strategic defaults and lower delinquencies. But will full recourse mortgages prevent the Canadian housing bubble from bursting? It certainly seems that full recourse mortgages in fact facilitate a lower delinquency rate. Consider the chart below. First, it's not true that the U.S. is uniformally nonrecourse. Two states with among the highest foreclosure rates, Florida and Nevada, are full recourse. In fact, the Federal Reserve classifies most states as full recourse. 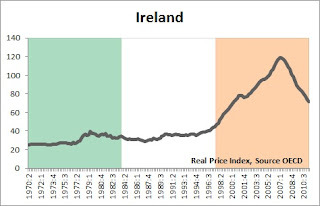 Ireland has full recourse mortgages and some of the harshest bankruptcy laws in the developed world. Why would recourse loans not be as effective as many people think they are? One possibility is that getting a deficiency judgment encourages banks to make riskier loans in a booming housing market. 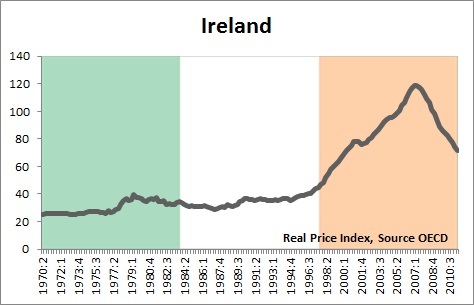 Since the lender does not bear the risk of falling housing prices, they may be more willing to lend into a housing bubble. Please consider the last sentence in the paragraph above. If anything, I think that full recourse combined with CMHC mortgage insurance facilitates the growth of the housing bubble. 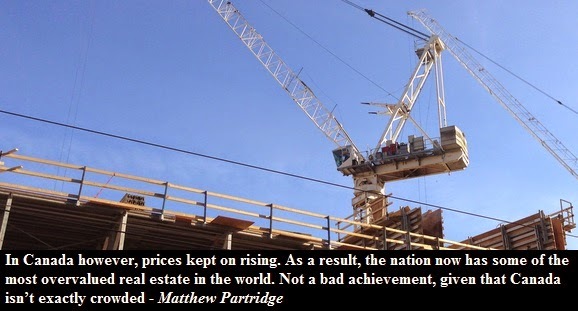 Full recourse loans won't save Canada's housing market, and neither will low delinquency rates! As Robert Shiller said, housing market downturns have to do more with sociology than anything else.